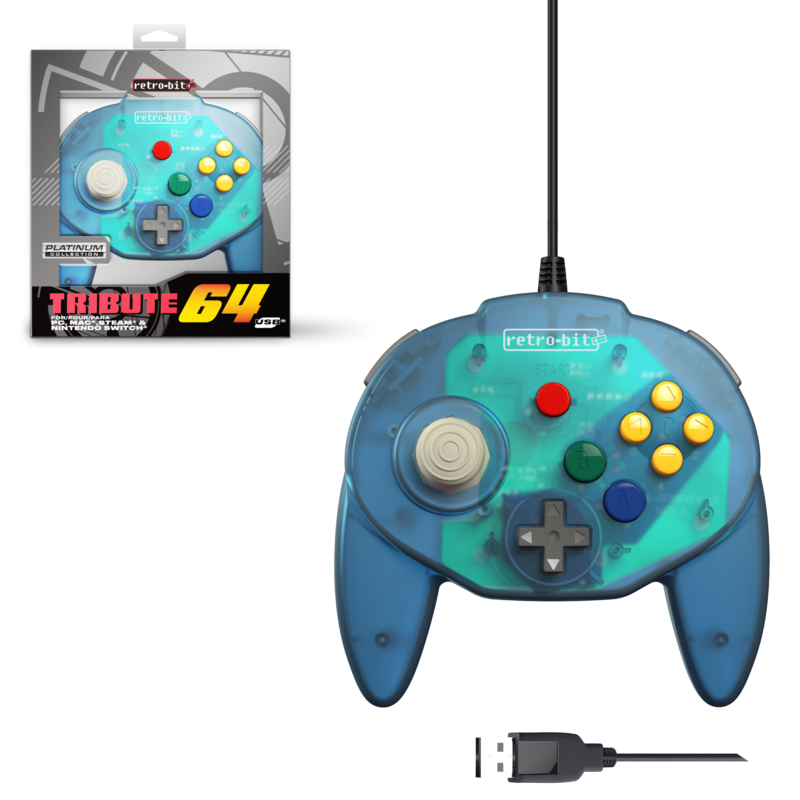 The Tribute64 is inspired by the Nintendo 64® controller and is part of Retro-Bit’s Platinum Series of controllers dedicated to classic retro gaming consoles. Designed for exclusive use on the N64®, it features ultimate versatility for any genre of games. 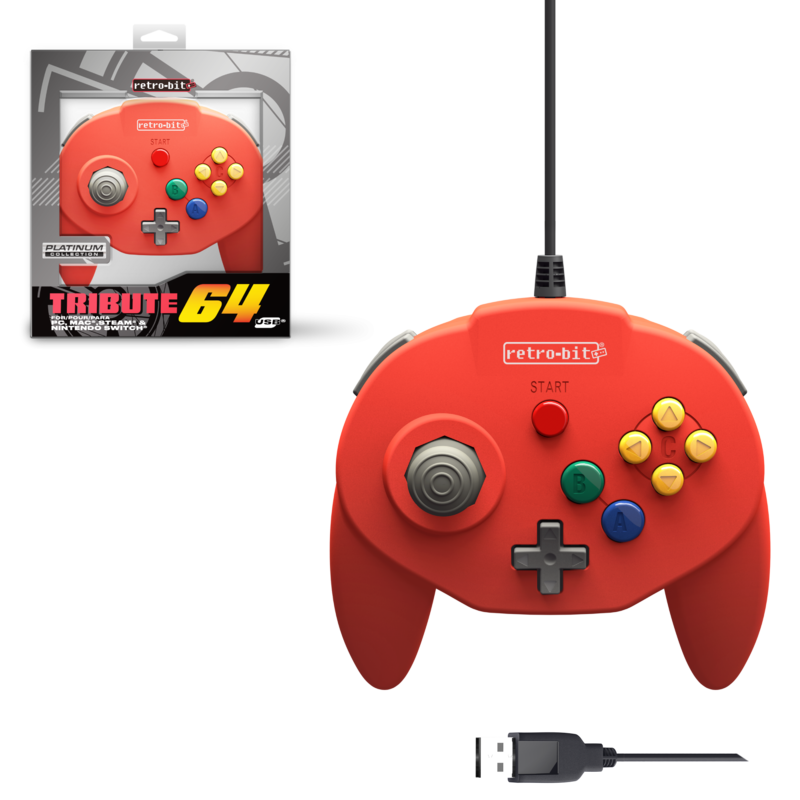 With a fully-responsive analog stick, an innovative and ergonomic design to boost your gaming experience, and the classic “A” and “B” buttons positioned just right, players will enjoy long hours of gameplay on new and classic consoles. 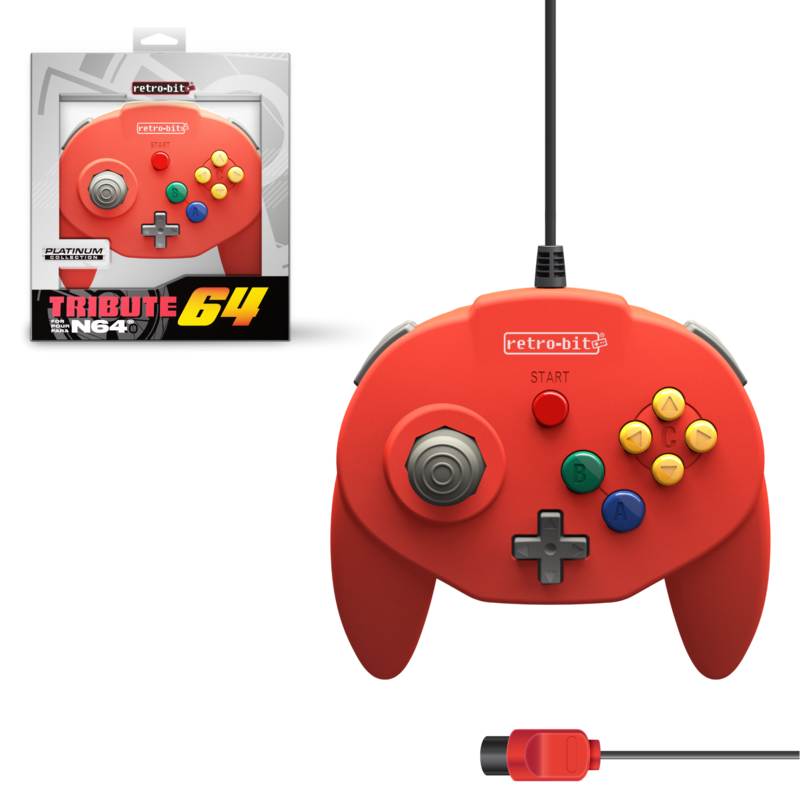 Please note that all information listed above, including designs, ETAs, prices, features, etc., are subject to change without prior notification.